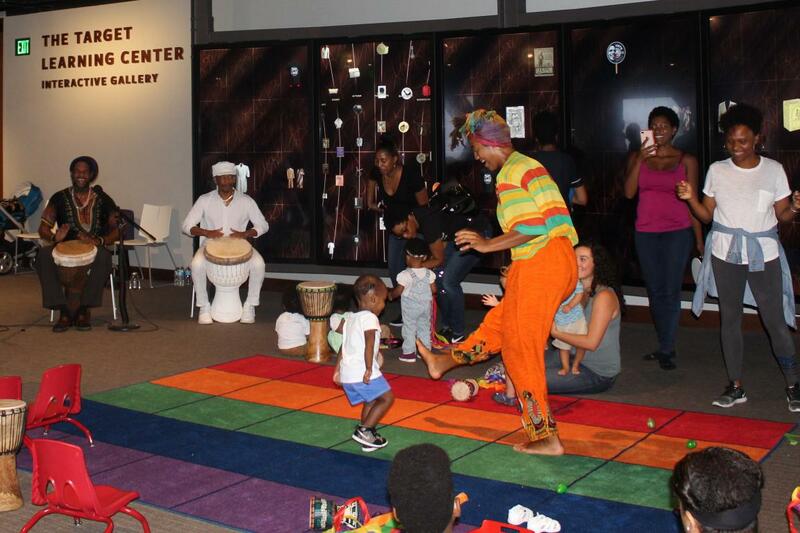 On July 25, 2018, the Smithsonian National Museum of African American History and Culture (NMAAHC) hosted several dozen children and caregivers for the latest session of “Harambee!,” a popular interactive event designed for participants to engage with music, dance, and expression. Harambee, which consistently attracts about 100 guests each week, is a feature of NMAAHC’s Early Childhood Education Initiative (ECEI), a program with a mission of introducing children to topics that uplift positive identity development and explore what is fair and unfair – the foundation for recognizing social inequities and knowing how to stand up for yourself and others. The ECEI is also committed to allowing children to creatively express themselves and find joy in culture, both their own and others. The Harambee program works to achieve these goals. Harambee is one of the many activities included in the ECEI. In total, the initiative’s programming has reached 15,000 children and caregivers, more than 500 of whom have attended a Harambee event. Though it is targeted toward 3-5-year-old children, the hour-long Harambee session allows kids of all ages to experiment with drums and other percussion instruments while making their voices heard through song. But Ras D believes Harambee is about more than just the music. Dedicated to working with young children on matters like racial equity and teaching them how to “all pull together,” the ECEI is a one-of-a-kind program that cannot be found at any other museum in the country. The museum will host its remaining summer Harambee programs on August 1 and August 8 starting at 11 a.m. in the second floor interactive gallery and on August 18 at 1 p.m. in the theater. For more on the Early Childhood Education Initiative, please contact NMAAHCearlychildhood@si.edu.